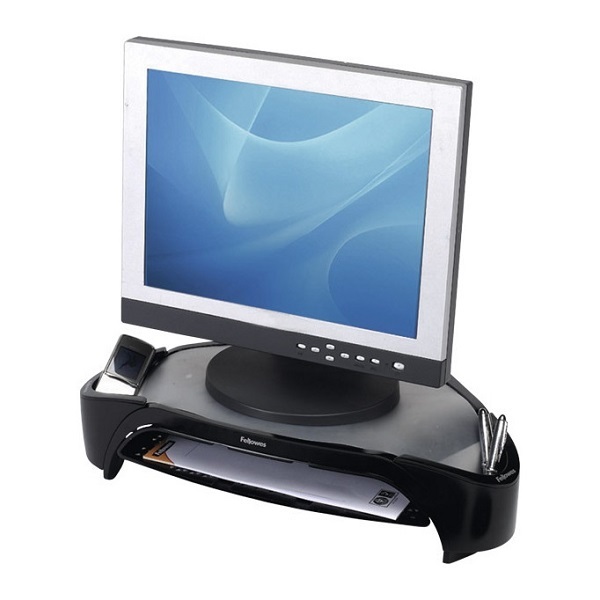 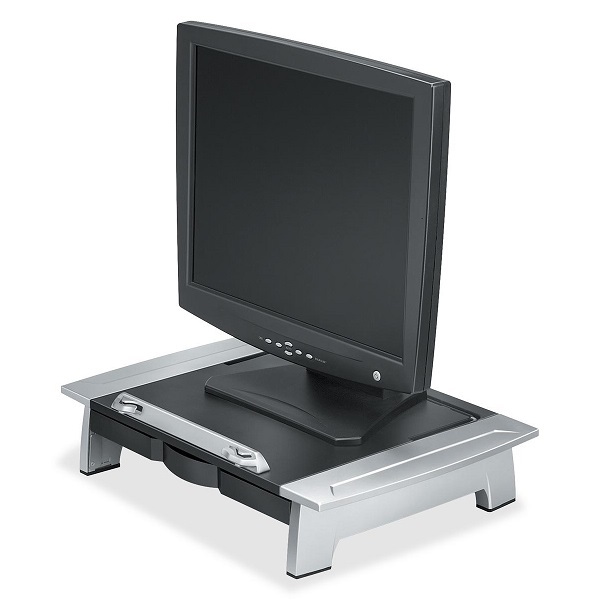 This monitor stand raises your LCD monitor to a height which is ergonomically comfortable for the user. 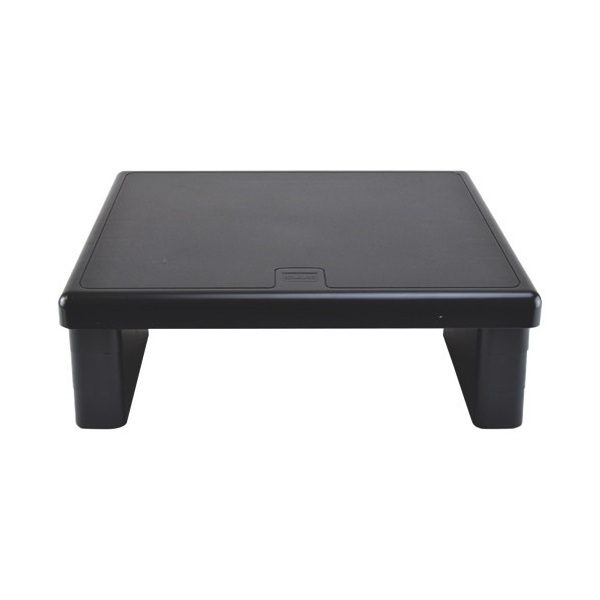 Sturdy, high-impact plastic construction for heavy duty use. 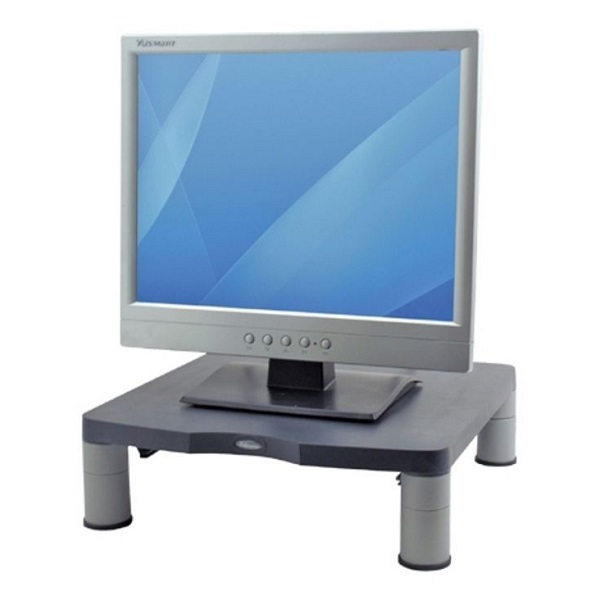 Triangular design monitor riser for easy fit into corner spaces. 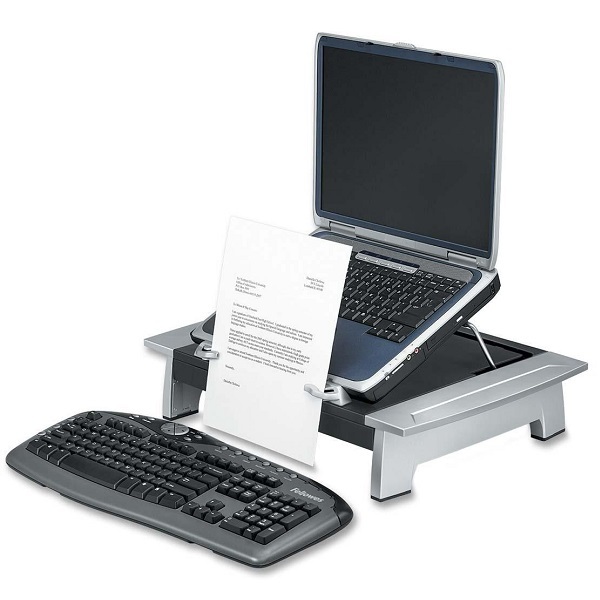 Stow laptop or documents underneath to keep desk clutter-free. 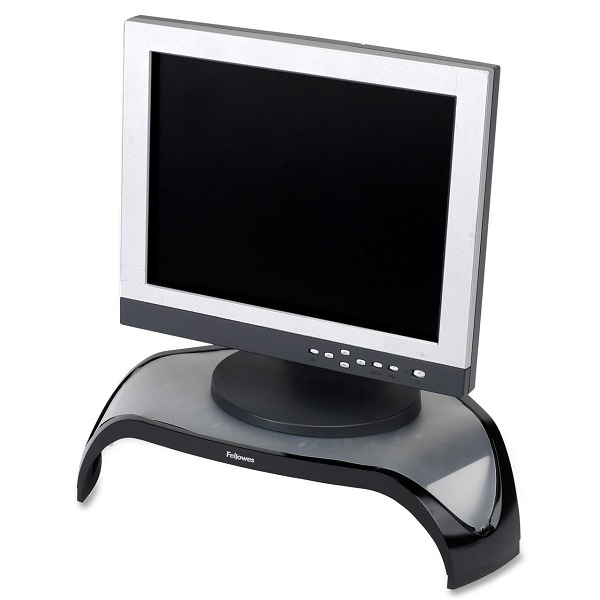 Innovative stacking columns raise your monitor to a comfortable viewing height. 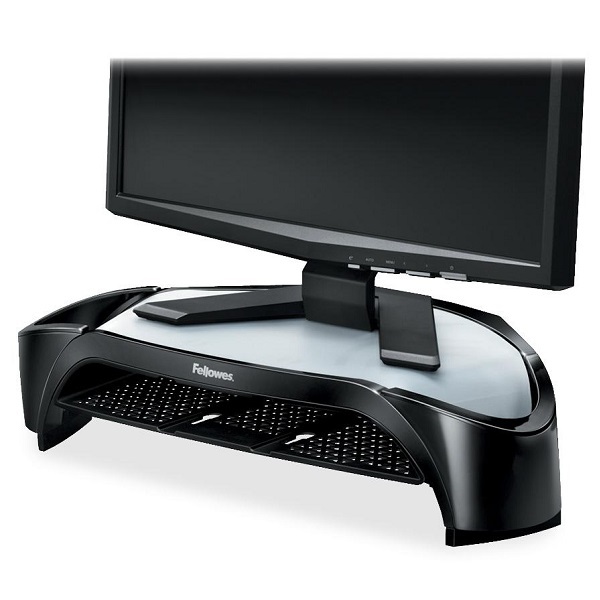 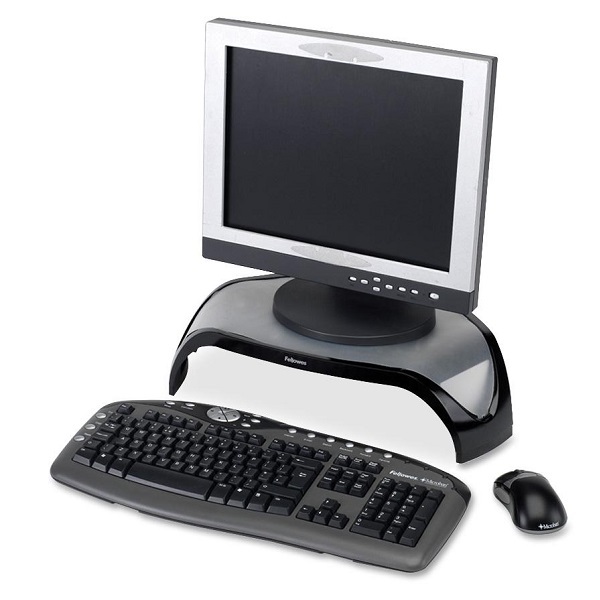 Positions the monitor at a comfortable viewing height and helps organise the workstation around the monitor. 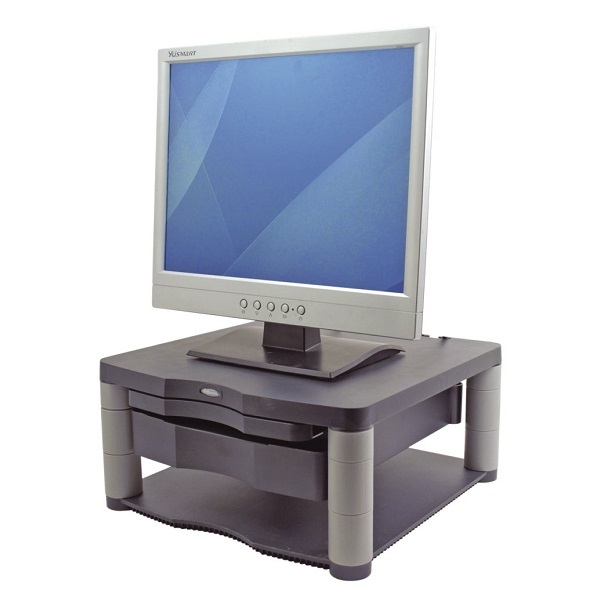 Triangular design monitor riser for easy fit into corner spaces with accessory pods and letter tray for additional storage. 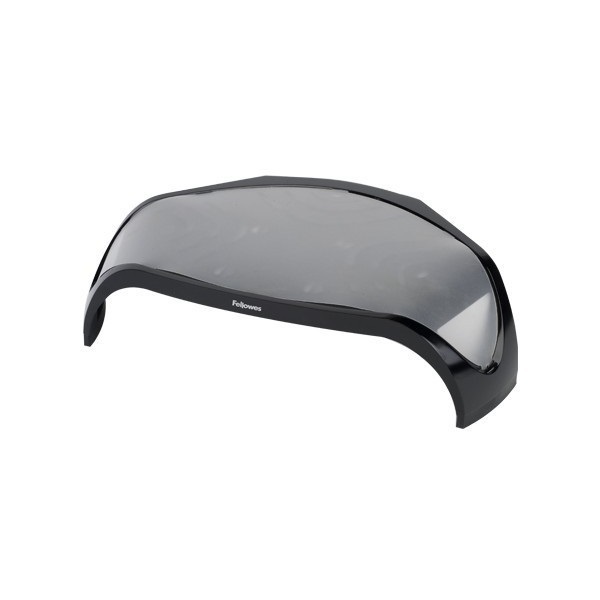 Durable plastic base doubles as paper storage shelf. 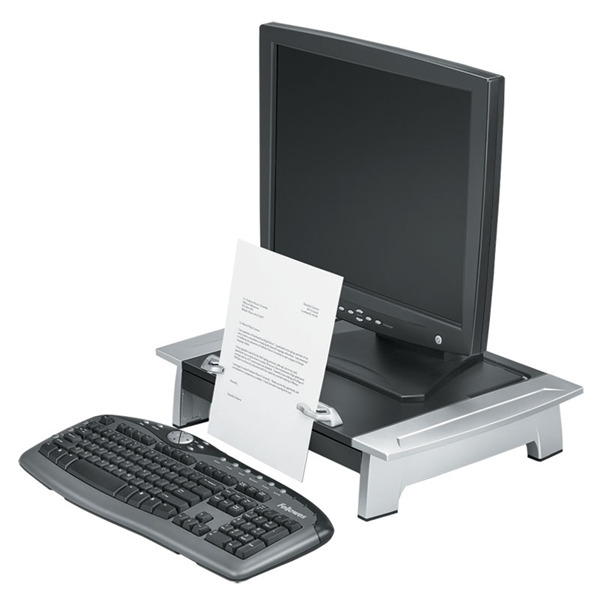 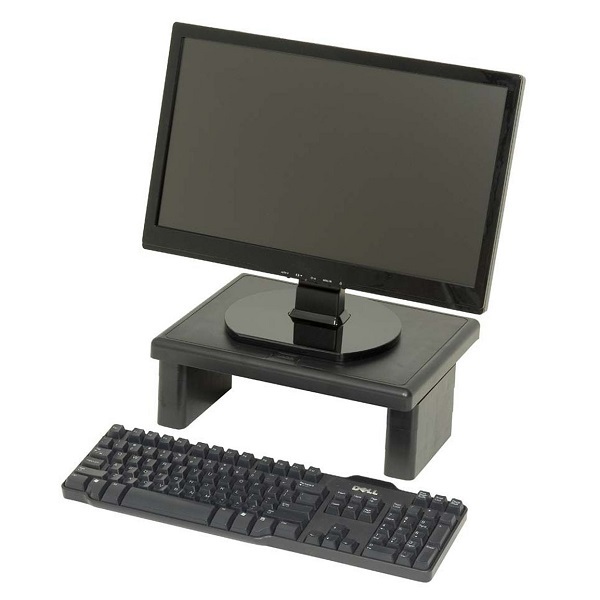 Premium monitor riser includes 51 mm storage drawer and built-in copyholder. 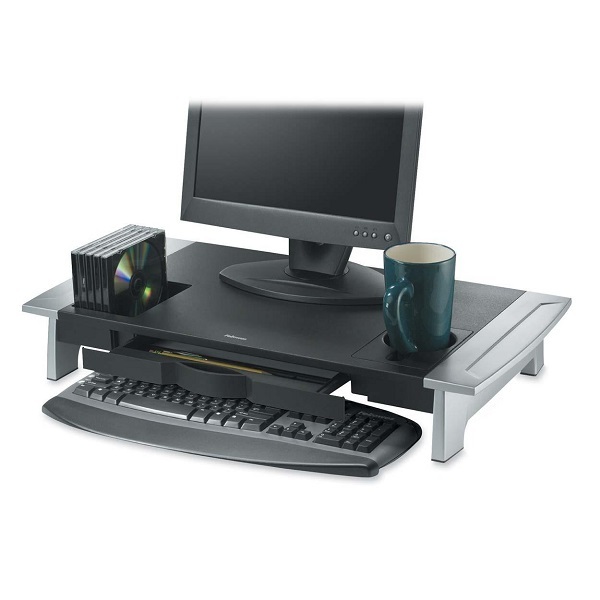 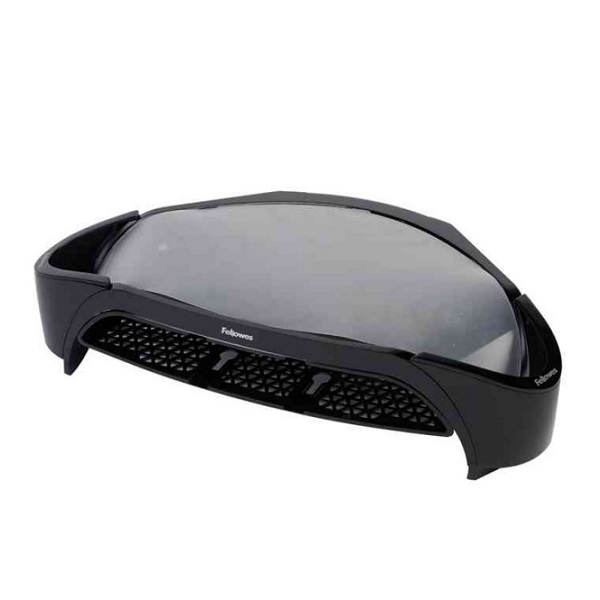 Features a convenient cup holder and media storage compartment for up to eight CD cases. 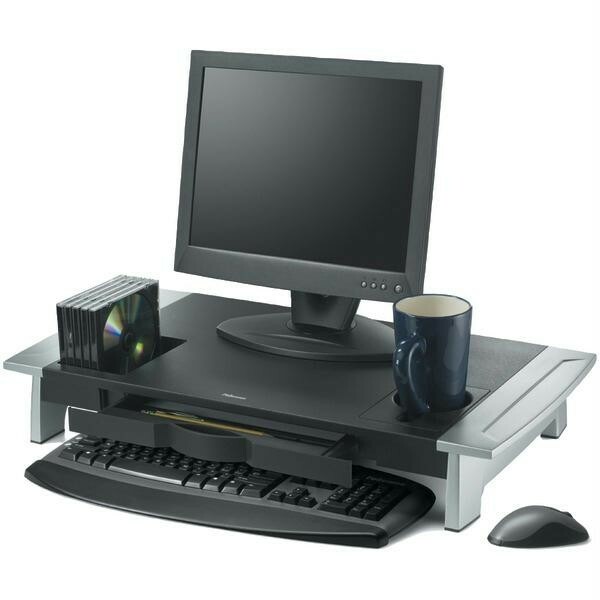 Stows laptop or keyboard underneath for in-office use and to save space. 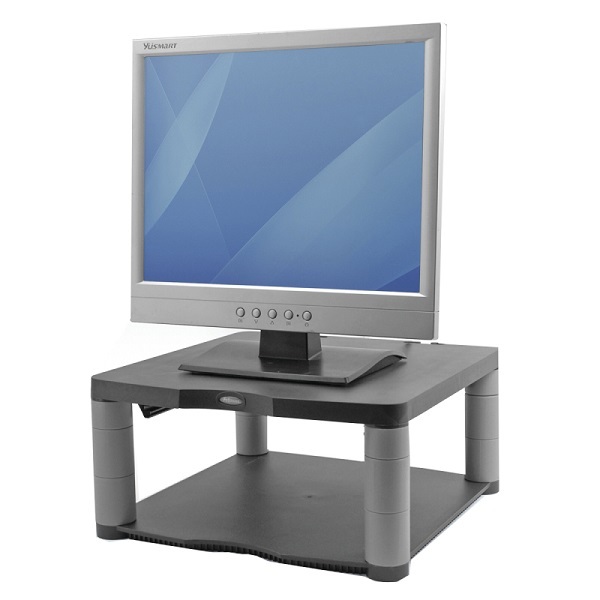 Includes up to 50 mm of height adjustability.